In our last blog, we noticed there was space for apps for video bloggers. Video blogging is becoming increasingly mobile, with the advent of excellent quality cameras on phones and mobile devices, many premium phones come with 1080p video meaning you can take video anywhere and upload them right from your phone. So, what are the best apps and software for video blogging? 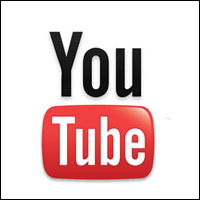 The most popular of all video sites, YouTube is a great place for hosting vlogs and has a very easy video editor allowing you to modify videos without much issue. With video trimming, stabilisation, rotation and other features you’re sure to get the video sorted to a quite presentable level in no time. It also allows you to save multiple versions of the editing you did and revert back to the original video whenever you wish. This app allows you to do a wide range of tasks. You can easily turn your item into an FLV or SWF video. It also allows bloggers to self host videos and provides a comprehensive guide to video embedding. You can also easily cut and create stylish slideshows with the software. If you want to add logos or digital watermarks to your videos this is the tool for you. It allows you to impose watermarks on a section or all over a video file. It also lets you choose the position, font and opacity. The app offers fantastic video editing features as well as allows you to add text to multiple files and convert file type. It does come at a price though. One of the best ways to go viral when producing a video is to ensure it is up on absolutely every medium for distribution. TubeMogul allows you the chance to do this easily and makes your web video ready for YouTube, Facebook, Vimeo, Daily motion and all the other sites you can think of. It uploads the video very quickly and even comes with its own built in analytics, which is quite comprehensive. This great software is little known, but covers all you need for basic editing. It’s quite impressive and includes capturing, editing and publishing. It resembles Window’s Movie Maker, but offers far greater control and has a range of settings from choosing a codec to camera resolution. When finished it also allows you to publish the video directly to YouTube and all the others and there is a 30 day trial as well, though this does include watermarks for exported video. However it costs less than £30 and meets all your needs. Video can replace words in a very effective manner and it allows bloggers the chance to throw something new into the mix and make proceedings that bit different and more fun – after all a change is good as a break. Have we missed your favorite apps for video bloggers? If so let us know via the comments.